Draught-proofing is one of the simplest, yet most adequate methods of energy conservation within a property and subsequently, it can help you to save some money when done correctly. Draught-proofing is the process of using different measures to block any unwanted draughts from entering your home and prevent warm air from escaping. There are a number of techniques and solutions readily available to achieve the most impressive results, the majority of which are practical and inexpensive to implement. But why is this so important? Below we will take a look at the benefits of energy conservation and protecting your home from draughts and how to do so. 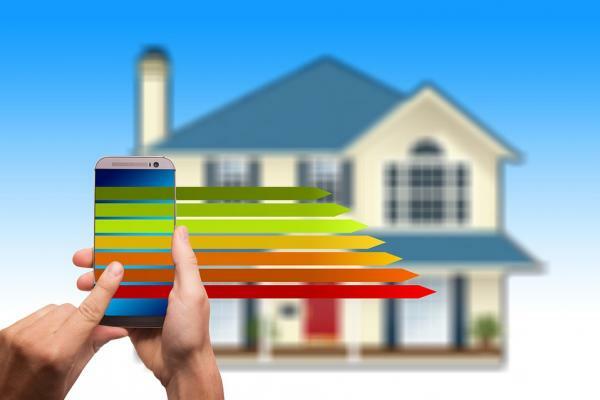 Growing numbers of people are becoming more conscious of energy efficiency and constantly looking of new ways to save energy, we might just have some tips. Heat loss through windows and doors equates to a remarkable amount and so draught-proofing is vital if you want to save on energy. High-quality double glazing can help you save a significant amount of money each year, as will using you heating controls logically. To ensure you are not using and paying for energy unnecessarily, only heat your home when it is occupied and keep each individual room at a comfortable temperature without overheating. If you have adequate loft insulation, well-fitted draught excluders and brush strips on internal and exterior windows and doors and any other techniques of draught proofing, you will feel much warmer and far more comfortable in your home even when the heating is off! We think this is a no-brainer considering you can save up to 10% on your electricity bills by turning your thermostat down by JUST ONE DEGREE! Energy conservation in the home is a great way of saving money year-on –year, month-on-month, leaving you and your family a bit of extra change to enjoy. As said before, draught-proofing and keeping warm air in the house will allow you to save up-to 10% on heating bills. However, even with this saving you could be spending a lot more than the average family if you are without double glazing and loft insulation. Although if may seem to be a high upfront cost, you should think of loft insulation and double glazing as a long term investment rather than an impulse splurge. Great uPVC double-glazing will save you a lot of money in maintenance as well as energy use. A home without loft insulation can spend up to £200 more annually on heating bills as the roof is the biggest culprit for allowing cold to enter and heat to escape. So when first forking out for loft insulation or uPVC double glazing, just remember you will more than make your money back within a few years. The key to preventing damp is, first and foremost, producing less moisture and eliminating excess moisture from the property. In colder months the most effective way to avoid condensation is with a consistent background heat in the house. Thermostats, timers and controls on radiators will be crucial for managing and controlling the heating in the house whilst keeping bills low. However, insulation and draught-proofing will keep the house warm even while the heating is off and therefore helping to prevent and eliminate damp-causing condensation. So, this may not save you some money but it is just as satisfactory. Unfortunately, we don’t all live in peaceful crescents without any sound other than the wildlife. Quite often we have a noisy neighbour, heavy traffic, or you might just live on a busy walk-through route for a school or a busy town centre. Whatever it is, sometimes we just need some peace and quiet. Although it might seem like a simple solution, many people overlook how effective brush strips, draught excluders and sealants are at blocking out noise pollution when fitted around exterior windows and doors, leaving you to relax in peaceful and quite surroundings.